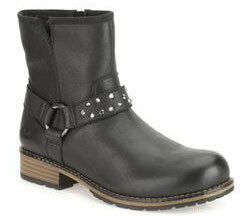 Clarks Kelpie Flo ankle boots are a classic biker-style pair for timeless style. 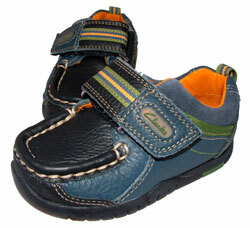 These black leather boots are crafted from premium grainy leathers and lined with soft, cosy textile to keep feet snug. With studded strap detailing adding edge, these cool boot stand on a contrast sole and low stack-effect heel to complete the look. 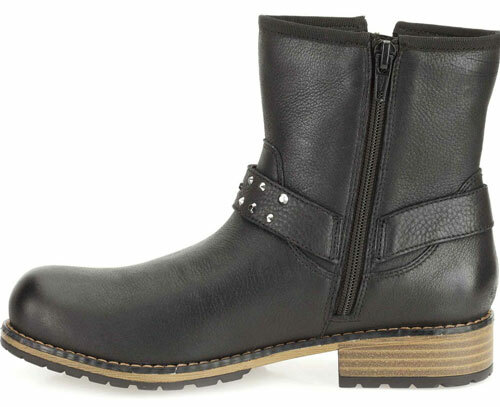 Finished with an inside zip for easy on and off, the Clarks Kelpie Flo girls ankle boots are this season’s must-have style.